Moliere', 1775. 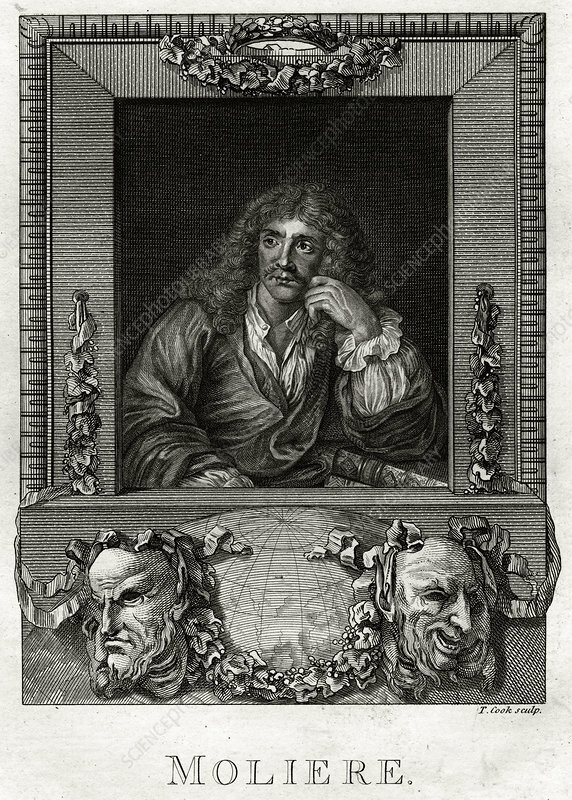 Jean-Baptiste Poquelin, better known as Moliere (1622-1673), was a French theatre writer, director and actor, one of the masters of comic satire. A plate from The Copper-Plate Magazine or A Monthly Treasure, London, 1775. Artist: Thomas Cook.